Looking to cherish your Wedding Day long after you tie the knot? 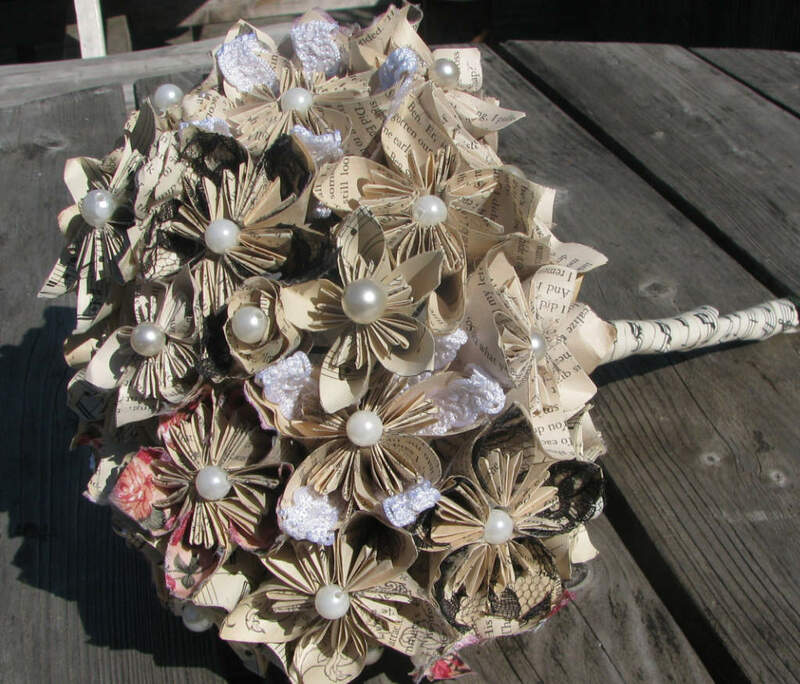 Design your very own bespoke paper flower bridal bouquet to be as ever-lasting and unique as your love. Create a wedding package, which can include your bouquet, wedding party, and table decorations, that is just right for you and your unique bridal vision. Meet with me ahead of time to choose your flower design, colour scheme, paper source, and other accessories, such as crystals, ribbons, buttons and pearls, to match your wedding theme. This is your special time, preparing your wedding should be fun, exciting, personal, and as stress free as possible. Let me help you create your dream wedding flowers. Don't have any idea where to begin? Don't worry, you are in very safe hands, as I have plenty of experience to inspire, and will endeavour to help make decision making very easy, and dare I say it, fun! 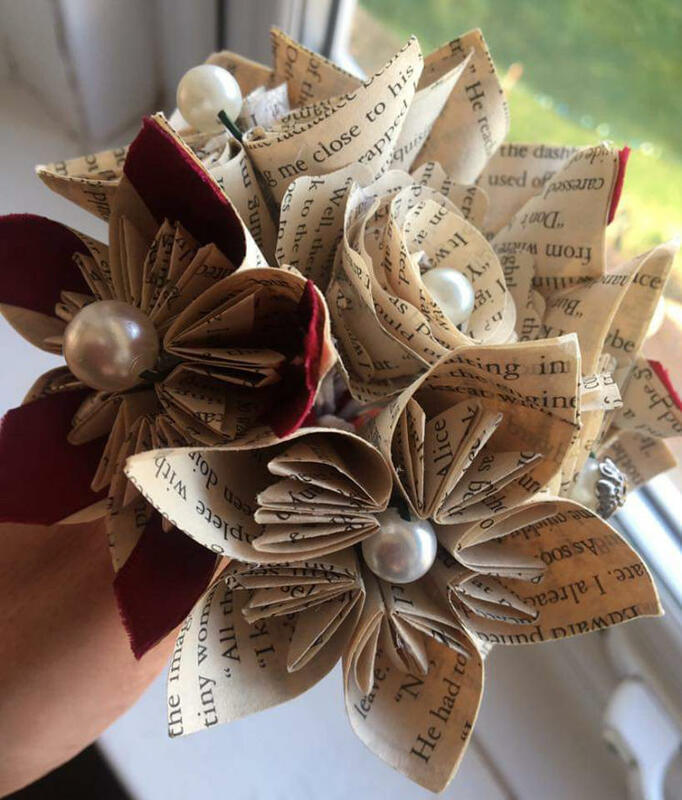 Get in touch today to meet for a free consultation, and arrange to look at examples of my work to see for yourself what beautiful bouquets can truly be made out of paper! Why not get everyone involved? Looking for a different sort of Hen party? Get together with your besties and create something beautiful and crafty for the big day! Learn how to make gorgeous paper flowers in all shapes and sizes, from bouquets to hair accessories, giant flower statement pieces to delicate table centrepieces. By bringing your friends and family all together, memories will be made to cherish forever. Suitable for any level: Perfect for those people with or without crafting experience. All you need is a postive attitude for learning and a sense of humour! I will guide you every step of the way, from folding, glueing, assembling and of course reminding you to have a good time! Feel good about yourself, and share the love through craft! A variety of Bespoke Flower Packages are available, starting from £150. Get in touch today to book your Wedding Flowers Craft Party!